The same way we cannot not communicate, we cannot not do public speaking. 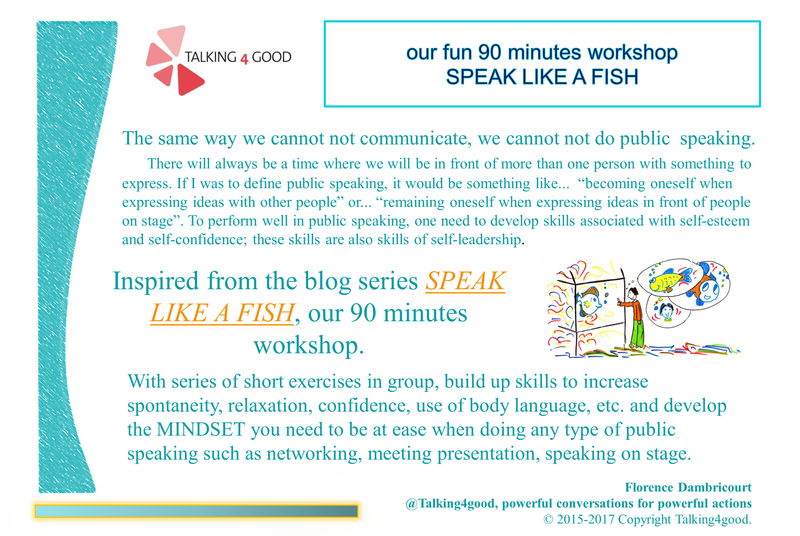 Following our series Speak like a fish, time to dive in with some 90 minutes practice workshop. Usually on the last Saturday of every month (check our calendar page), join us for 90 minutes to explore body language, usage of the voice, self-confidence, self-esteem, words and humour, etc. AND MORE important to develop THE MINDSET YOU NEED to feel confident in any type of public interaction.